Here’s a photo of a new feature we’ve never put in a custom home before: a dance floor. 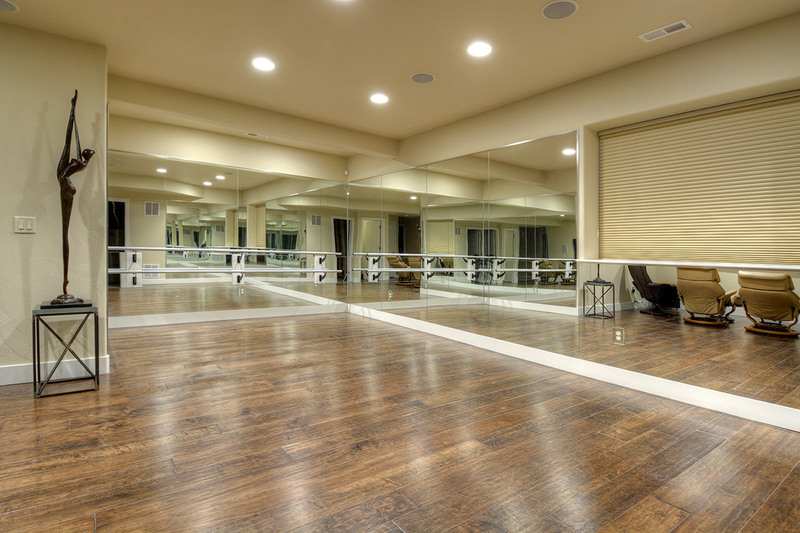 During the design process, the client asked if we’d be able to turn the downstairs into a small dance studio, complete with a with full-height mirrors on the wall and wall-mounted barres, and we were delighted to. We always enjoy being able to build unique features into a home, and this one stands out as the only one of its kind in our portfolio. Building new homes is a fun, collaborative process that involves asking the homeowners about their lifestyle, dreams, and desires, so we can ultimately give them a home that fits them perfectly. If you’ve been thinking about buying or building a home, we would be happy to talk with you about how we could build a home that fits you, whether you want a sauna, dance floor, geothermal energy system, or something else. Contact us today for a free consultation to discuss your own custom home.